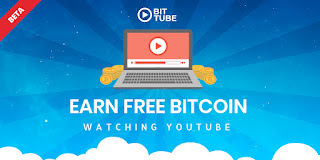 Bittube is a unique Bitcoin Faucet that allows you to earn Bitcoin by watching any Youtube video you like. Simply register, install the Chrome Extension and find a video on Youtube you want to watch. You will see a Bittube bar under the video, click the earn button to start earning BTC. Note: No popups or popunders! !